This is one of the most beautiful messages of all time. Blessings to all of you who take this sacred responsibility seriously. We wish you the best in all your endeavors. And, to those who are still learning about the importance of this holy calling and highest service - we pray you may be touched by the truth of this message and learn more about how you can better serve in this capacity. 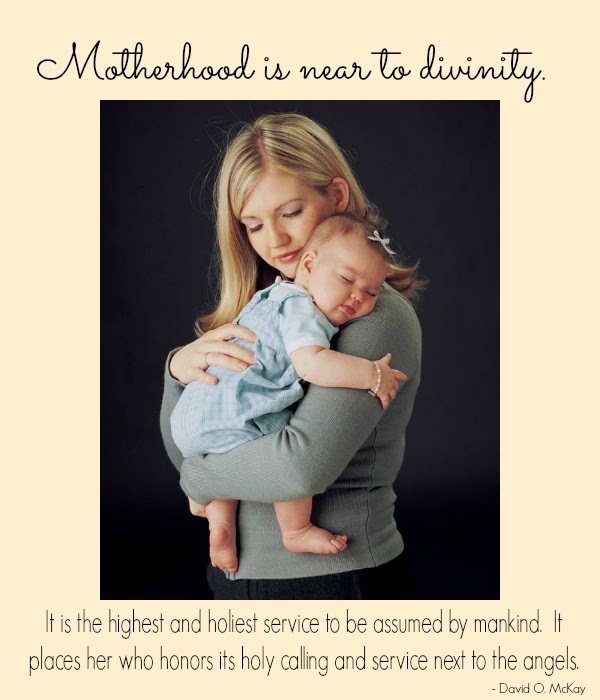 "Motherhood is near to Divinity. It is the HIGHEST and Holiest Service to be assumed by mankind. It places her who honors its holy calling and service next to the Angels.